News round-up: new Vauxhall and Suzuki engines; Ssangyong Xiv Paris concepts | What Car? Vauxhall has introduced its new 2.0-litre CDTi diesel engine at the Paris motor show. This new unit will replace the current 2.0-litre CDTi engine in the company’s Insignia and Zafira Tourer models. Not only does it offer an increase in power (up 7bhp to 168bhp) while delivering more torque (up 37lb to 332lb ft), it is also said to be up to 5dB quieter. Although official economy and emission figures have yet to be released, it is also reported to be more efficient than the current engine, which in the Zaffira Tourer produces 139g/km of CO2 and averages 53.3mpg. Vauxhall also says that its new diesel – which complies with the latest Euro 6 emissions regulations - runs as cleanly as a petrol engine, thanks to the latest Blueinjection tech. This injects a chemical into the exhaust system, which is claimed to remove harmful NOx pollutants from the exhaust gasses. Ssangyong has unveiled two new SUV concepts at the Paris Motor Show. The Xiv-Air and Xiv-Adventure concepts are basically final development versions of the South Korean manufacturers forthcoming, Nissan Juke sized, X100 model, which is due to go on sale in 2015. Two engines options will be shown in the concepts, a 1.6-litre petrol and diesel, and as they have been designed to meet Euro 6 emissions standards, we would expect to see these in the production version. 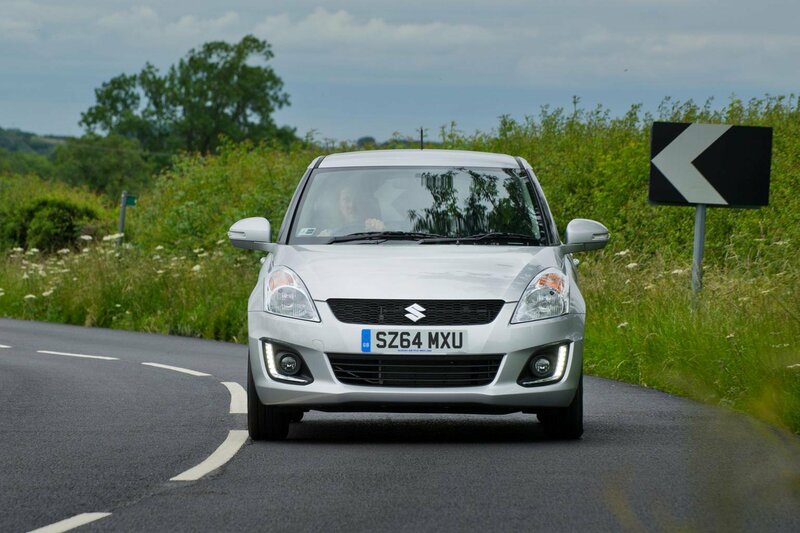 A new more efficient engine for the Suzuki Swift will be introduced early next year. The 1.2-litre Dualjet petrol engine will initially be available as a circa £500 option, alongside the existing petrol engine on the SZ4 two-wheel drive model, but will eventually replace it altogether. The advantages over the current engine are a 16% reduction in average fuel consumption, meaning Dualjet equipped Swifts will achieve up to 65.7mpg, as well as a drop in CO2 emissions from 116g/km to 99g/km, making it exempt from road tax. Performance should remain broadly similar to today’s engine, with a small increase in torque, from 87 to 89lb ft, being offset by a mild drop in power, from 93 to 89bhp.